Get all four 2006 issues of Interweave Knits in one downloadable collection, plus a bonus issue of Knits Gifts 2006. 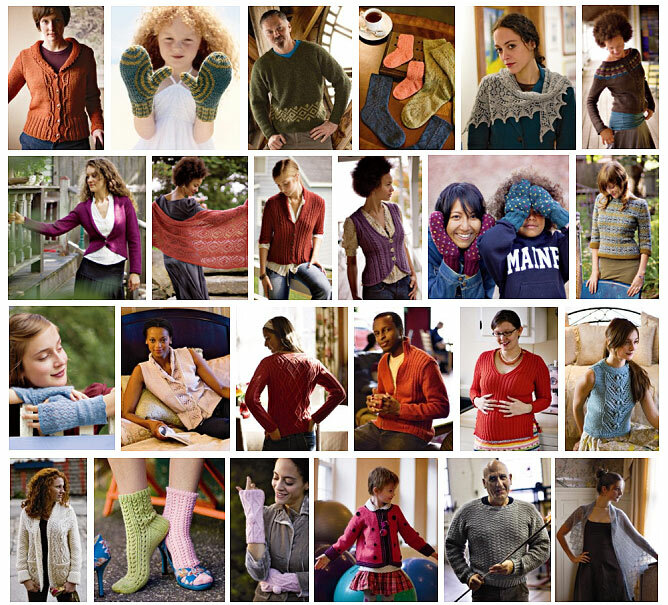 A full year of Interweave Knits magazine, now as a downloadable collection! Enjoy all four issues of Interweave Knits exactly as they were printed in 2006: Spring, Summer, Fall, and Winter editions. Plus, receive the bonus premier special issue of Knits Gifts 2006! The 2006 season showcases a tutorial on steeking, designer profiles on leading knitwear designers and authors, book reviews, and excerpts, as well as over 100 patterns for sweaters, skirts, socks, shawls, and more! Interweave Knits 2006 Collection Download includes out-of-print patterns, such as the famous Weekend Pullover by Véronik Avery (Fall 2006), the Lotus Blossom Tank by Sharon Shoji (Summer 2006), and the Caftan Pullover by Norah Gaughan (Spring 2006). Get these patterns, and more, many, many more! What are you waiting for? Get all these trusted knitting patterns, all the informative tutorials, yarn reviews, and more! Add Interweave Knits 2006 Collection Download to your knitting library. Interweave Knits 2006 Collection Download includes these patterns, to name a few! Buy the Interweave Knits 2006 Collection Download for over 100 patterns to choose from!